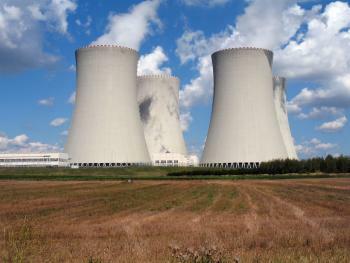 Nuclear technology deals with the use of this internal energy for a wide variety of applications. The most well-known application of nuclear energy is the generation of electric power in nuclear power plants. Nuclear power plants are installations where heat is obtained causing nuclear reactions in the nuclear reactor with which later, through thermodynamic and mechanical transformations, electric power will be obtained. In order to take advantage of the nuclear energy present in the nucleus of atoms, it can be done in two ways: splitting the nucleus of an atom or fusing the nucleus of two atoms. In the first case we call it nuclear fission and in the second nuclear fusion. When one of these two physical reactions occurs (nuclear fission or nuclear fusion) the atoms experience a slight loss of mass. This mass that is lost becomes a large amount of heat energy as Albert Einstein discovered with his famous equation E = mc2. After knowing what is nuclear energy we can make us a more especific question: what is nuclear fission? Nuclear fission is the division of the nucleus of an atom into different smaller particles. This type of reactions generates a large amount of heat energy that can later be used in different ways. One of the important characteristics of nuclear fission is that it is generated by bombarding an unstable atom with a neutron. Once the nucleus has been fissured, in addition to particles one or two more neutrons remain free that can collide with another atom and generate more chain fissions. Currently, nuclear fission is the type of nuclear reaction that is used in all types of nuclear power reactors. Nuclear fusion is the reverse process. The objective of the fusion is to submit the nucleus of two atoms to physical conditions in which the nuclei are fused between them obtaining a single atom. A large amount of energy is also obtained by this type of reaction. The energy produced by the Sun, for example, comes from nuclear fusion reactions. The use of nuclear fusion would be much more beneficial than the use of nuclear fission (more sustainable for the environment, better performance, etc.). Unfortunately, currently reproducing nuclear fusion reactions artificially and sustainably is still not feasible so that all nuclear reactors are fission. We refer to nuclear fuel to the material that is used to generate the nuclear reactions. As we have said, nuclear power reactors generate nuclear fission reactions. Therefore, for this type of reactions you need a material, an atom, that is very unstable; that is so unstable that with colliding with a single neutron it breaks. The vast majority of nuclear power reactors use enriched uranium as a nuclear fuel. Uranium is a very unstable element that occurs naturally. In spite of being unstable, it undergoes an enrichment process that makes it even more unstable and, therefore, more efficient for nuclear power plants. that following a certain process is enriched to make it more unstable. The uranium reserves of the planet are not considered unlimited, so nuclear energy is not considered a renewable energy such as solar or wind energy. In the case of nuclear fusion, the most optimal material is that which has a simpler atomic structure, that is, a lower number of protons. In this way, it is easier to combine with another atom. Nuclear energy has a wide variety of applications. The best known applications of nuclear energy are the generation of electricity in nuclear power plants and in the military field. Anyway, some nuclear reactors have the function of generating radioisotopes for use in the field of medicine, treatment of pests, etc. In medicine, nuclear radiation is used to perform radiographs or certain radiological treatments. In the military field it is used to create weapons and also for the propulsion of vehicles. The effects that nuclear weapons can have on the population are devastating. To this day, the atomic bomb has only been launched twice (over the cities of Nagasaki and Hiroshima during World War II). Despite this, there are a large number of treaties and agreements to regulate these activities. In the military field. Nuclear technology is used for the propulsion of vehicles and missiles because it allows to have a great autonomy with very little fuel. We have an example in nuclear submarines. The first nuclear submarine in the history of nuclear energy was the Nautilus. Video - What is nuclear energy? We ecourage you to watch this viedo made by National Geographic which explains clearly what is nuclear energy. Nuclear fusion reaction is the combination of two nuclei of light atoms. This nuclear fusion reaction releases or absorbs a lot of energy and allows matter to enter in a plasma state. Advantages and disadvantages of nuclear energy. Technical, economic and security aspects. Advantages of nuclear fusion versus nuclear fission. Management of radioactive nuclear waste. Systems of storage of nuclear waste in Spain.